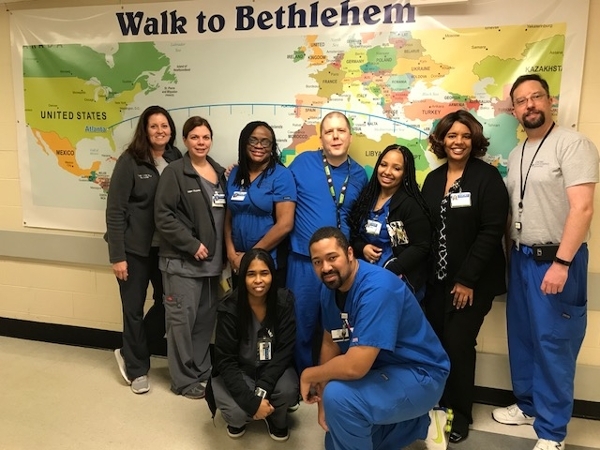 Emory Saint Joseph's Hospital employees recently finished a 6,441 mile walking journey from Atlanta to Bethlehem, during the "Walk to Bethlehem," a national physical and spiritual fitness initiative. During the 16 week program, more than 500 employees completed an overall total mileage of 176,984 miles. The imaginary walk encouraged Emory Saint Joseph's employees to get their families and friends moving for better health while connecting to the Mercy Mission of the hospital. for themselves and focus on their health, through body, mind and spirit." Emory Saint Joseph's employees were divided into 25 teams for the virtual journey with participants tracking the number of miles they walked, biked or ran weekly. Each team traveled 400 miles per week, with individuals completing 20 miles per week. In addition to logging their participation, employees received a weekly reflection encouraging them to contemplate a passage of scripture about journeys and how it related to everyday life challenges.